Summer break is now in full swing for students in Montgomery County, but county drinking water testing reports show kids who attended more than 60 schools in the system could have been exposed to dangerous levels of lead. WASHINGTON — Summer break is now in full swing for students in Montgomery County, but county drinking water testing reports show kids who attended more than 60 schools in the system could have been exposed to dangers levels of lead. In updating the results of its ongoing Drinking Water Testing Program, Montgomery County schools say drinking outlets at 150 schools in its system have been tested for lead. Many have already been fixed. While the county says on its website only 97 of the 9,748 outlets tested are accessible to students, a closer look at the individual school reports finds that a majority of the offending outlets are in elementary schools’ classrooms. The Environmental Protection Agency sets a threshold of 20 parts per billion for the lead in drinking water before the fixture needs to be replaced. Nearby school systems like D.C. won’t let lead exceed 5 parts per billion. In Prince George’s County Schools, it’s 10 parts per billion, or ppb. Of the 94 Montgomery County elementary schools tested, 46 have at least one drinking outlet that tested above the EPA threshold. Four others come within 1 part of the 20 ppb threshold. See the county’s testing reports by school here. A classroom bubbler at Lucy V. Barnsley Elementary School in Silver Spring, Maryland, tested 356ppb. A faucet in an ESOL classroom in Farmland Elementary School in Rockville, Maryland, tested at 564 ppb. A faucet in computer lab inside Fields Road Elementary SChool in Gaithersburg, Maryland, tested at 259 ppb. A bubbler in Gaithersburg Elementary tested at 253 ppb. A faucet tested at 310 ppb in a Maryvale Elementary School classroom in Rockville, Maryland. A classroom faucet at South Lake Elementary School in Gaithersburg, Maryland, tested at 431 ppb. 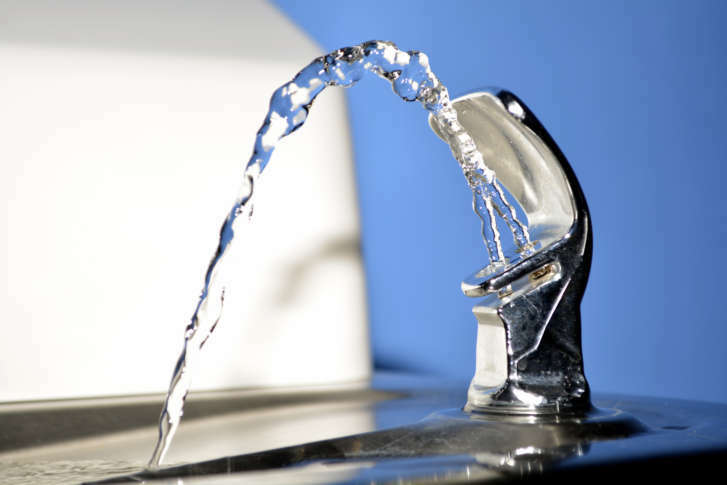 At Eastern Middle School in Silver Spring, Maryland, a classroom faucet tested 115 ppb. In Kensington, Maryland, a kitchen faucet at Einstein High School tested at 700 ppb. At Wooton High School in Rockville, Maryland, a faucet inside a computer lab room tested at 112 ppb. The testing began in February, Gboyinde Onijala of the school system previously told WTOP. The testing came in response to a Maryland law that requires all schools be tested for lead in their water by July 1, 2018. She said they are testing on a city-by-city basis. The agency recommends outlets be taken out of service if the lead level exceeds 20 ppb. In each report, the county posts how much lead initial testing found in parts per billion in every outet in each school, whether it passed or failed and what the remediation plan is for each outlet which tested over 20 ppb. It is usually recommended the county replace the fixture, supply line and valve under each sink or bubbler. When applicable, the county also shares the follow-up testing findings after the fixture has been replaced in the report.